Choosing to become a nurse is more than just choosing a job. It is a sincere love for the medical profession along with the desire to help those in need. If you are looking to further your education and wish to begin your course of study in nursing, nursing programs and schools located in Florida are among the best in the country. You should also familiarize yourself with educational and licensing requirements for the state. 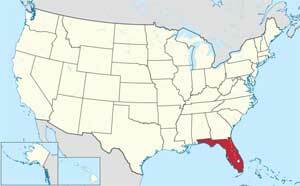 Florida currently has over 10,000 vacancies for RNs and over 3,000 for LPNs. Healthcare jobs in Florida have remained steadily on the rise. This is more than likely due in part to the fact that the state’s population almost doubles during the winter months. This increase may also occur because there are yearly population rises due to baby-boomers choosing to retire to the Sunshine State. There are 81 accredited schools for nursing throughout the state. For the Licensed Practical Nurse (LPN) program, pre-admission testing is often administered to see if any additional courses will be required in the basic skills of math, English and reading. The LPN program lasts for one year and is often a stepping stone to obtaining a Registered Nurse (RN) degree in the future. Although content varies by institution, clinical rotations that offer the opportunity for hands on patient experience factor prominently in the schedule. RN programs vary from two to four years depending on whether the student chooses the receive the ADN, which will give you a solid foundation in nursing or the much more advanced BSN. With an RN degree in hand, you can perform many more duties than an LPN, and you will also have much more responsibility in the care of your patients. Once you have completed your program of study, will need to apply to the Florida State Board of Nursing in order to be able to take the NCLEX. You must also apply to receive a temporary permit to work as a Graduate Nurse (GN). Once the BON has reviewed all of your documentation and determined that you are eligible to write the NCLEX, you will receive your Authorization to Test (ATT) as well as your temporary permit. While you are working as a GN with a temporary permit, you must be under the direct supervision of a licensed RN at all times. You are also not permitted to have any care responsibilities. As Florida nursing programs and schools are so highly rated, once you have embarked upon your career you will find that your education has more than prepared you for completing your duties competently and safely.